Japan - Food - Where in Our World? 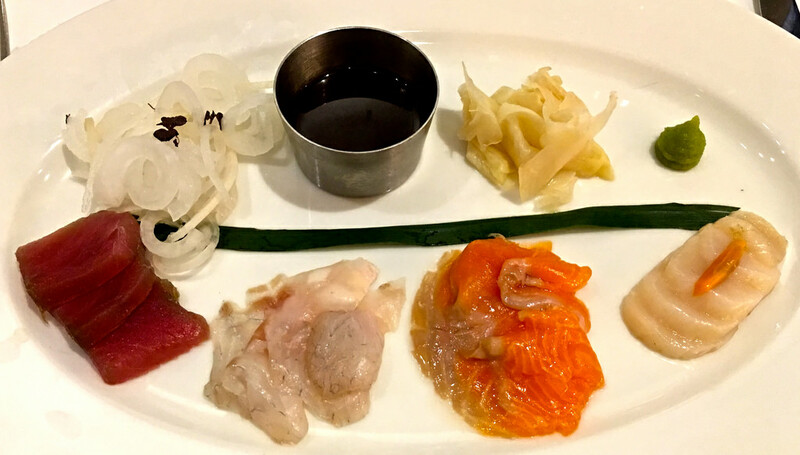 There is a lot of interesting food in Japan such raw fish (sashimi), raw horse (basashi) and fermented beans (nato). Food in ordinary restaurants is sometimes displayed with plastic models so that people can see what they are ordering. Some restaurants have menus with pictures on them to make it easier for you to choose what you want to order. More traditional restaurants display signs like these. Their menu is usually written in kanji. People in Japan eat with chopsticks. This is raw fish. 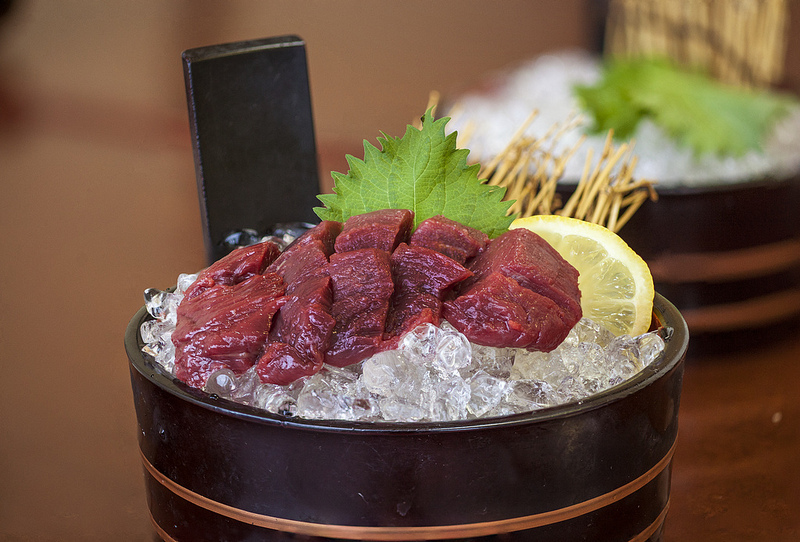 Tuna, salmon, eel, shellfish and urchin are quite common. 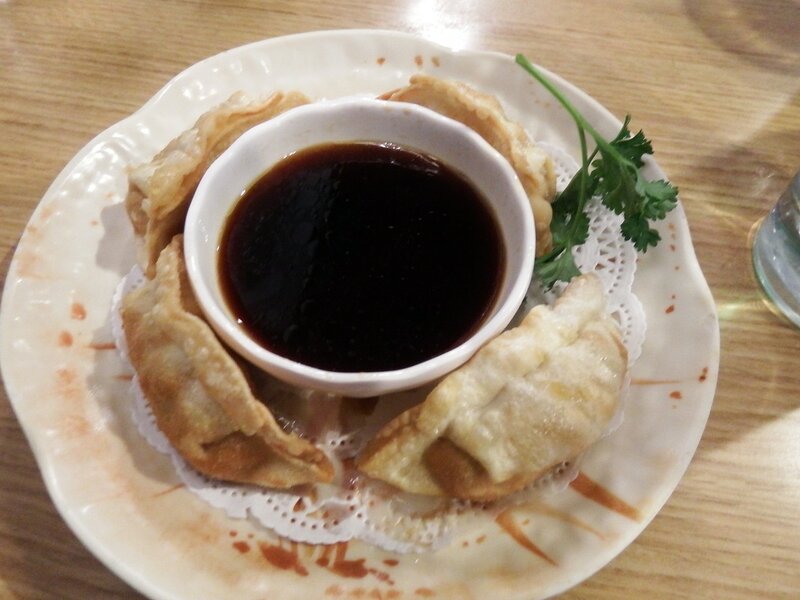 Gyoza are a type of dumpling. They are filled with minced meat such as duck or chicken. Ramen is a type of soup that has noodles in it. It is often flavoured with miso or soy sauce. It is topped off with different toppings such as scallion, boiled eggs, pork, nori (seaweed) or cabbage. 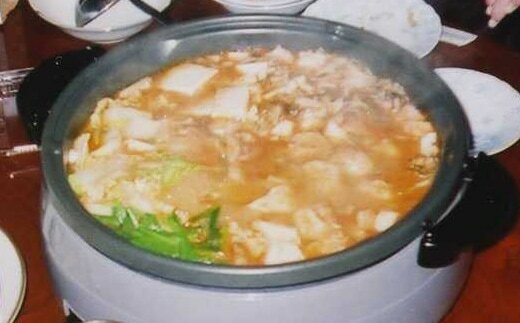 Nabemono, or as it is more commonly known Nabe, is a type of stew. All of the food is cooked in a special pot. Sometimes people have a nabe party where they cook together before they eat. 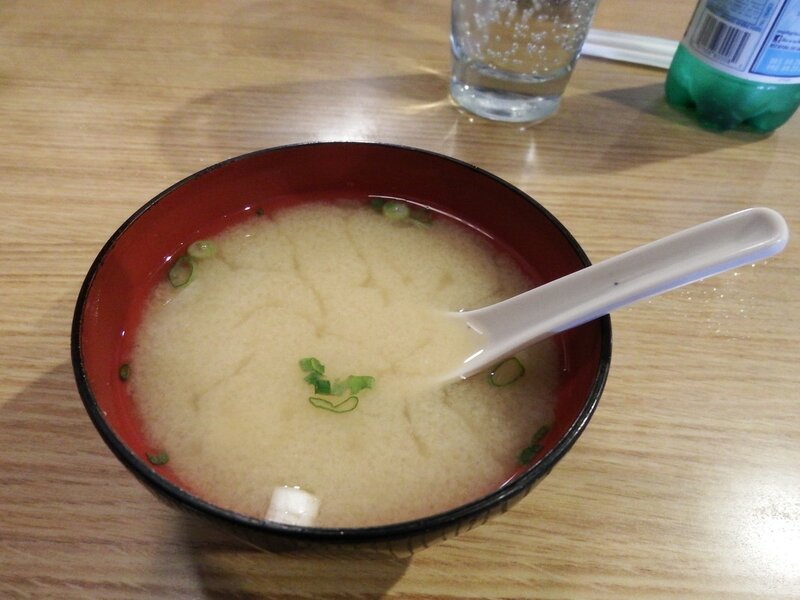 Miso soup is another traditional Japanese soup. Different ingredients such as scallions and tofu are added to the soup. 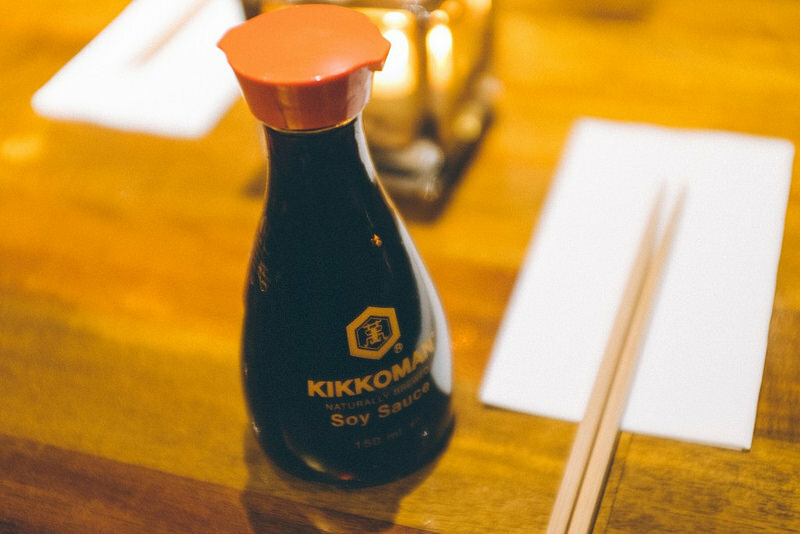 Soy sauce is a condiment which is used to flavour food. 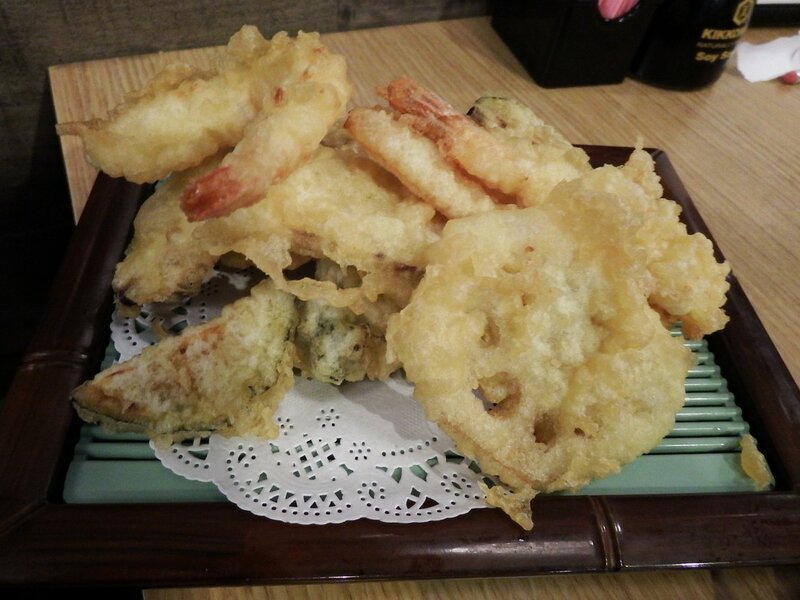 Tempura is seafood or vegetables that have been covered in batter and deep fried. Sushi is a variety of food which is served with rice. It can also be served with nori (seaweed). Sushi is often confused with sashimi (raw fish). However sushi can be cooked or uncooked. It is often served with pickled ginger, wasabi and soy sauce.